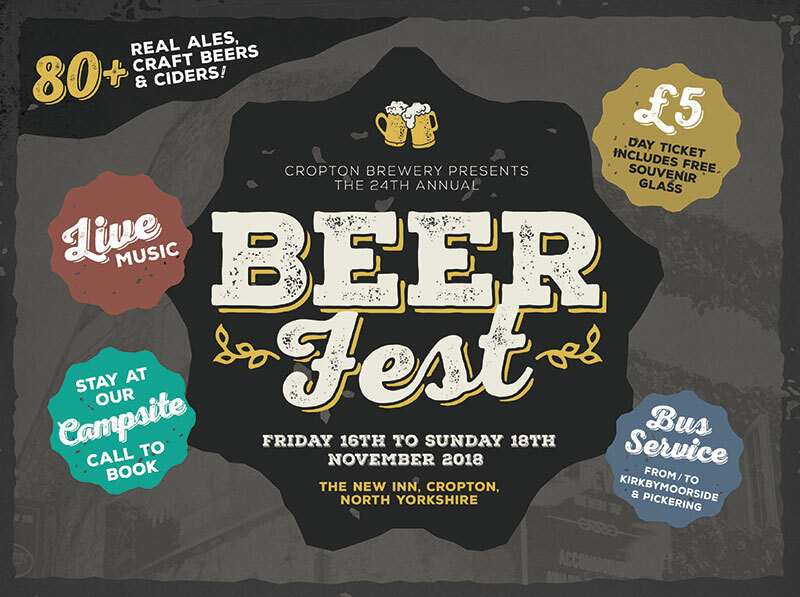 Beer Fest 2018 dates announced! Yes, it’s only January but it’s never too early to plan your trip to our annual Beer Fest. We are pleased to announce that this years event will be held from Friday 16th November to Sunday 18th November. 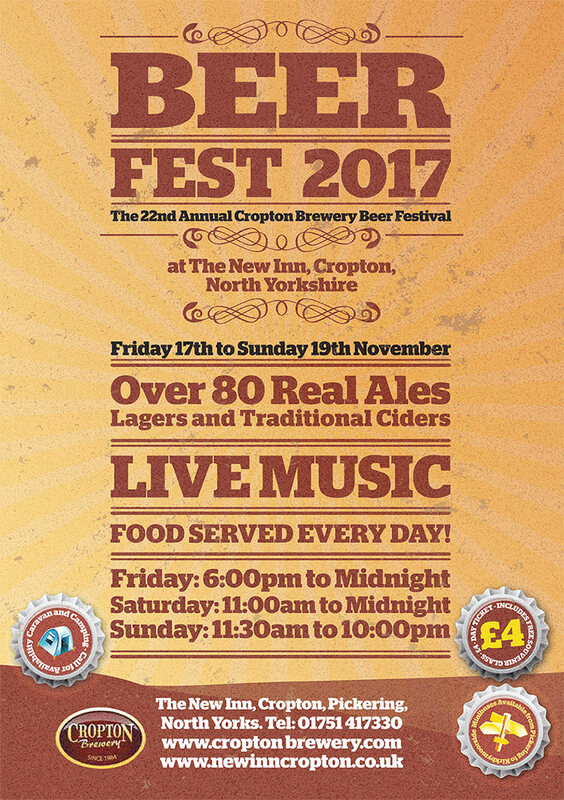 We are still finalising some of the finer details, but you can find out more at the Beer Fest page. See you there! Only a few more days to go until our 22nd annual beer festival! As usual, we will have dozens of the greatest beers, lagers and traditional ciders available to humanity for you to try. All accompanied by some great live music and wonderful food. Check out the poster below for more information. See you there! 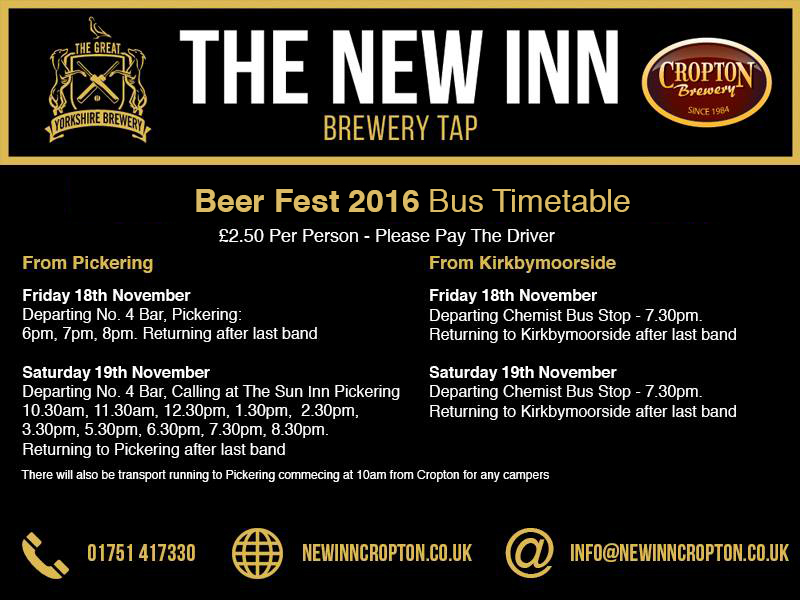 Click here for the bus timetable. We are counting down the days to our legendary beer festival, its not long now!! 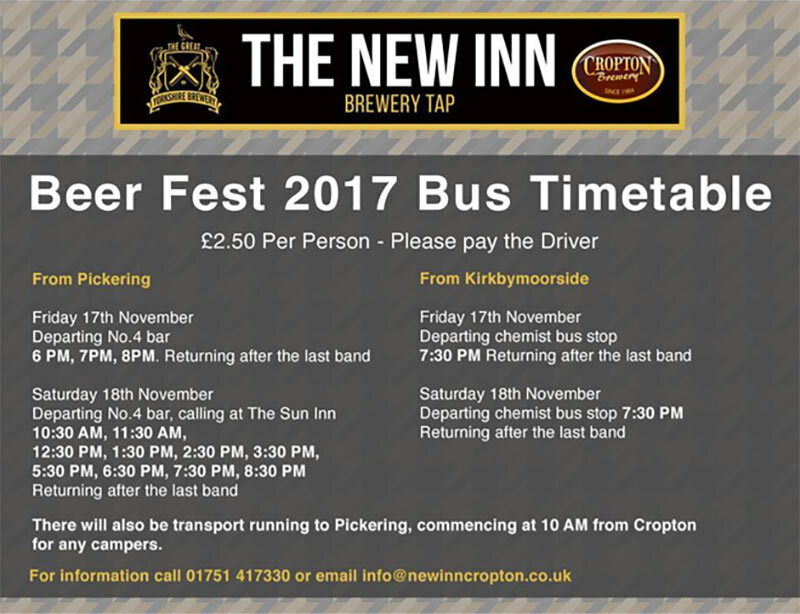 For those of you who don’t have a “Des” we have put on a bus service from Pickering and Kirkbymoorside to help you get to the festival and back home so you can enjoy our beers and live music to the full.